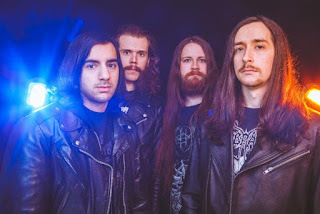 Chicago (IL) - Sci-Fi Death Metallers Nucleus will release new album Entity June 14 on CD via Unspeakable Axe Records and vinyl LP via Me Saco Un Ojo Records. The title track is streaming below. 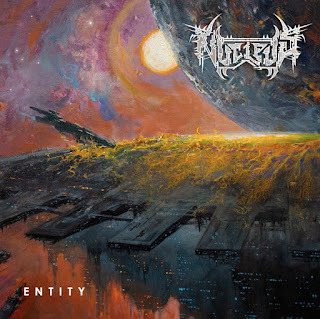 At eight tracks deep and nearly 40 minutes long, Entity is an atypical death metal album in almost every other way that matters. It finds Nucleus leaning harder into their influences, and following their own strange impulses, more than ever before. Riffs come and go in dense, syncopated knots of alien harmony; vocals are reverberated growls and sometimes drifting, almost subliminal clusters of eerie clean singing. With punchy, aggressive drumming and bass work, this is an album that never sacrifices the full-frontal assault side of the genre in its pursuit of the peculiar. But at the same time, it is a deeply peculiar album, uncompromising in delivering the auditory version of a hard science fiction novel. 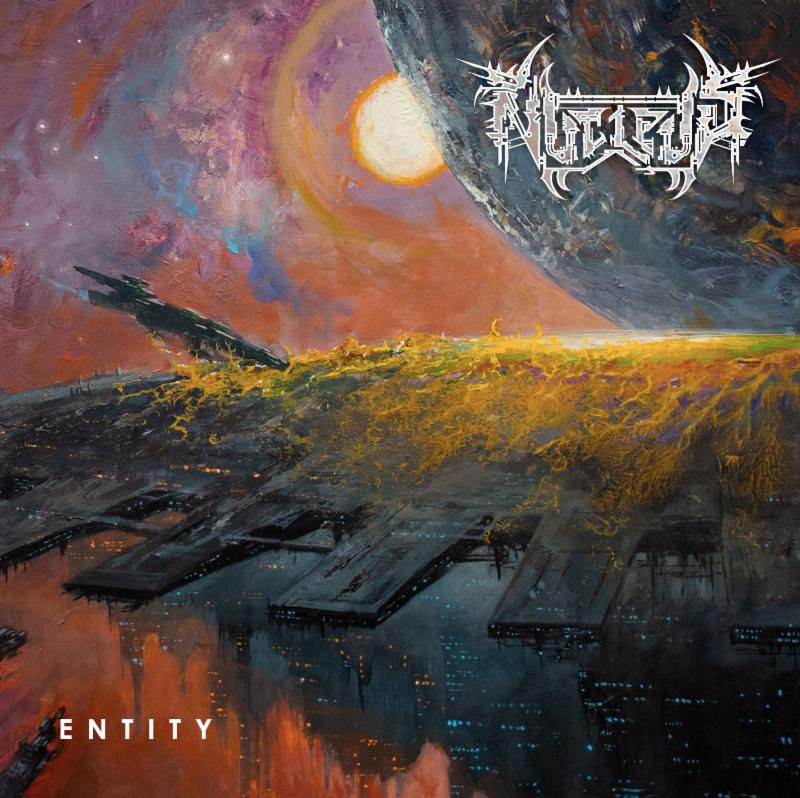 With conceptual lyrics by the band and stunning 2-panel art by Adam Burke, Entity is bound to be one of 2019's most talked-about releases in the extreme metal realm. The album will be available on CD, tape and digital formats from Unspeakable Axe, with a concurrent vinyl release from Me Saco Un Ojo in cooperation with Unspeakable Axe. Preorders begin shipping end of May.